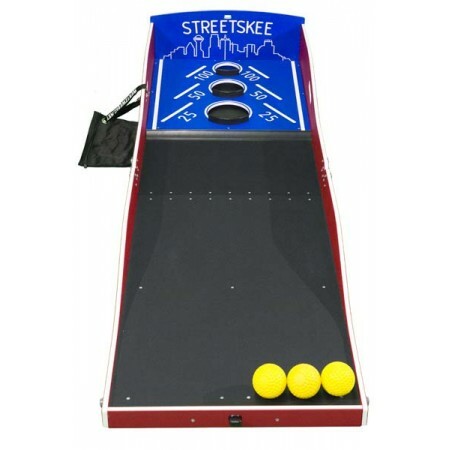 Streetskee is a fun, classic challenge! The goal: roll the balls up the alley and land them in one of three holes. Each hole gets progressively smaller and is worth more points than the last!